Enquiries to the AA Cars classified website has seen a massive uptake in enquiries since the vehicle recovery specialist launched its Vehicle Inspection for dealers service, reports Motor Trader. The AA reported that enquiries to its classified car website increased by 40 per cent to 278,590 in the first quarter of the year — this figure was compared to the same period in 2015. The highest figure was reached in March of this year when AA Cars received 97,004 enquiries, which marked a record total for the website. With the car sector booming, you may be thinking of expanding your business, whether that involves taking on new sites or simply adding to the volume of stock you hold. If so, you must ensure that you have the right levels of insurance to cover your enterprise. You should have a good motor trade insurance policy, as well as road risks insurance, that is adequate to your needs. The AA’s Vehicle Inspection for dealers service, launched in February, automatically lists the vehicles that it has inspected on the company’s website, which has been a hit with car dealers both large and small. 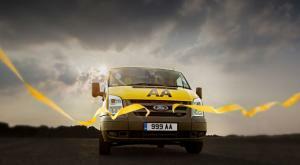 In fact, the AA was keen to highlight the cost-saving aspects of its service for smaller car dealerships in the UK.